Read a nonfiction or realistic fiction book, stop in the beginning, middle and end of the book to record a fact. 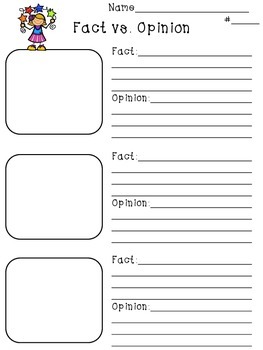 Then students write an opinion based on the recorded fact. There is also space for students to draw a quick sketch.